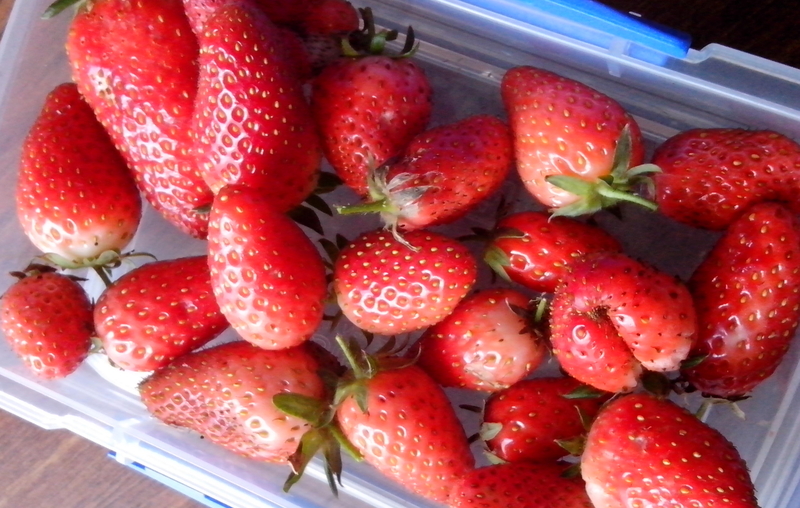 The strawberry patch is blooming and the strawberries are big and luscious. 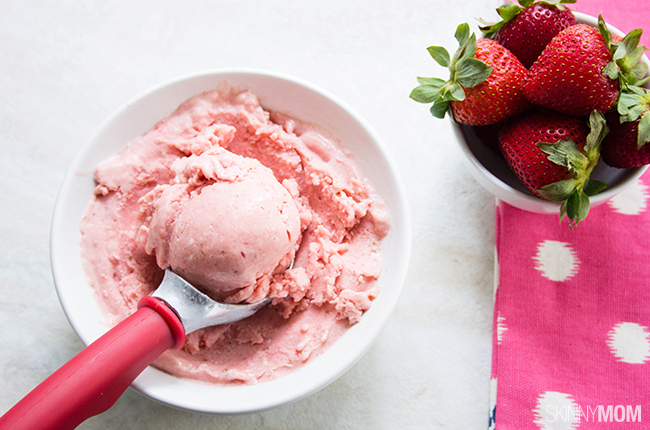 There are so many ways to prepare strawberries that when I came across this simple but easy and delicious ice cream, I had to share it with you. The team at skinnymom.com have kindly given us permission to reproduce the recipe here. You can check out their site for other healthy recipes. Place all the ingredients in a food processor and blend until smooth. The consistency should be like soft serve ice cream. Transfer to a freezer safe container large enough to hold 2 cups and freeze for at least three hours.